Fix TMU counters to be accurate to within 1 SH4 instruction when read/written (events are still coarse-grained). Fix crash on receipt of a bad maple packet. Implement real video timing using the CRTC registers, along with the SYNCSTAT (A05F810C) register, at least for PAL. Still need to verify NTSC and test other display modes. Interestingly it looks like it's using a 27.038Mhz dot clock for both PAL and NTSC. The above has gotten me to the title screen on one game I tested, but it hangs there unfortunately. 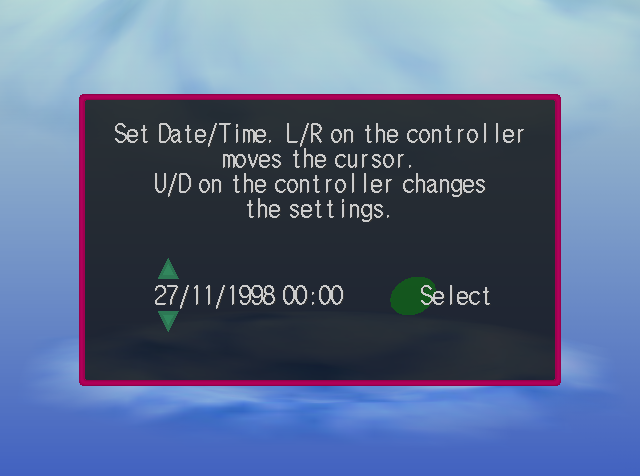 It's also made me acutely aware of the immediate need to have finer-grained timings on at least the display events - plan is to implement sh4-relative one-shot event timers next, and then test/implement the other display modes. Things are looking promising though - I'm aiming for an end-of-January/early-February M2 release, which should be at the point where other people can start playing with it. Native linux CD driver is now partially implemented at long last, along with a first cut of the NOP command and the "read status" packet (0x40,0x01). Unfortunately it looks like there's a good bit to be done still in ATAPI-land for normal usage, so I will probably have to keep banging on it for a while. 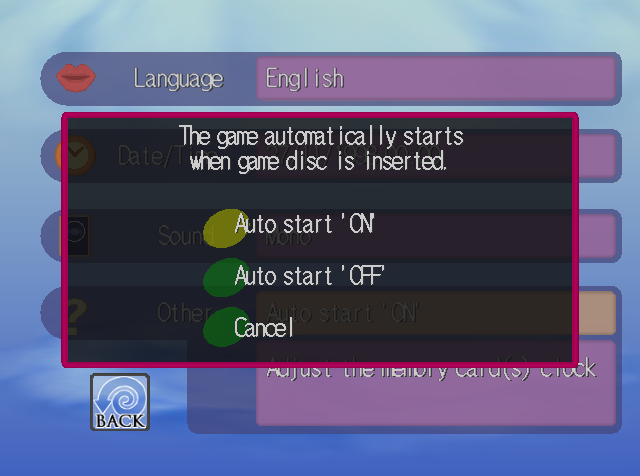 Putting together a test disc at the moment for use in the IDE system tests, which should help as well. On the bright side, with a couple of exceptions I can now boot every demo/homebrew disc I've tried, so I will start making with the compatibility lists soon. For want of a better name. It doesn't seem to directly correspond to anything in INF-8020 as far as I can see. gg_3dEngine.nrg doesn't work for me currently. Then again, I burnt three coasters in a failed attempt to write it to disc, so my copy of the image may be corrupt. Although I'm not entirely sure where the last 3 months have gone, as they certainly don't seem to have been particularly productive in any way. Hong Kong was good (got back last Wednesday), albeit very busy, and my feet are still recovering from all the shopping - HKG may just be the most commercialized city on the planet. Some highlights did include Victoria Peak and Ngong Ping , both very nice areas (even with the tourist developments). So... on to some DC stuff. Started doing some serious profiling today, in the interests of maybe getting performance to be less utterly terrible. Fixed a couple of lesser bottlenecks (the _big_ bottleneck being the main sh4_execute_instruction() function) and actually managed to nearly double my framerate. Combined with quartering the SH4 speed and it's nearly usable now (although still less than half speed I would guess). Nice... I doubt I'm going to eke more more speed out of it until the recompiler is done though. For the interested - when I started profiling, the SH4 core (including memory address decoding) was consuming roughly 98% of the total runtime, of which sh4_execute_instruction() alone is ~50%. It's now down to ~96%, with execute instruction taking 73% by itself. We seemed to spend an awful lot of time in Mong Kok for some reason. Started working through the CPU core tests, which, at a current rate of about 0.6/day I should be finished sometime next year. Hopefully it'll get faster though now that I've got some more infrastructure in place (and most of them can be made more-or-less data driven). Unfortunately there's still over 100 instructions to get through, without even counting all the variants. Originally I had M2 specced for August - obviously that didn't happen (in fact M1 barely made the end of June) and the this month has been rather busy with personal stuff (ie moving house). On the bright side lxdream has made some pretty big strides in its PVR2 support, but not much else has been changed significantly yet; I don't think there's enough to warrant a new release at present. If there's any time left in the month, probably knock over some more rendering issues as well. Well, will wonders never cease - I've now got some _very_ quick and dirty transparent sorting code in CVS now. It doesn't support intersecting triangles, or loops, or even some straight overlap cases, but it _does_ do everything the BIOS screens need. As you can see from the screen shots to the right - these look pretty close to exact now. Updated: VQ decompression works too now. ("I wonder how long this will actually take." "Actually, not that long"). 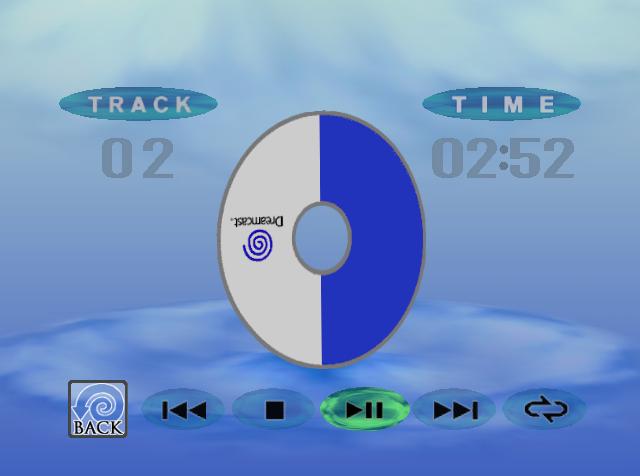 The CD in the image on the right is the VQ texture. Note that this screen currently has some visual artifacts that aren't obvious in the screenshot. For now it's just sorting based on the minimum Z in each triangle. Hey, I _said_ it was quick and dirty. A more precise version is to follow in the future. Been busy packing of late (what with moving next weekend and all), so I haven't had the chance to make a huge amount of progress. I _do_ finally have solid colour backplanes working correctly though, which is nice (screenshots to follow at some point in the future). The code deserves some kind of award for being the most complex component in the system in proportion to the hardware function it's implementing. Still wondering if maybe I should have gone with the software renderer option after all... 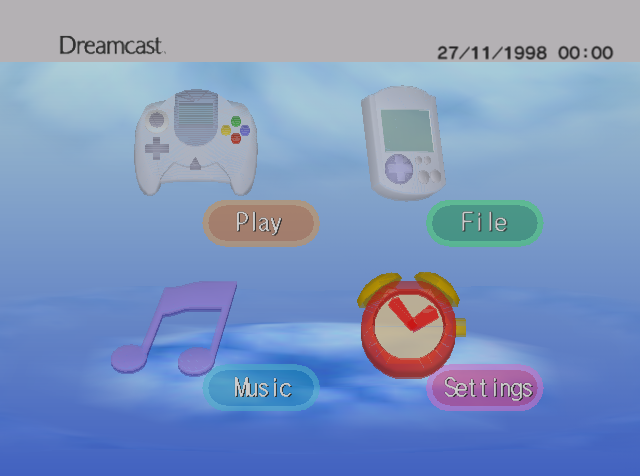 In any case, the clock etc bios screens do look nicer with the proper background gradients on them. I've also discovered that the PVR really doesn't like trying to do alpha blending in the opaque polygon list. Of course, some would say that that's the _point_ of having separate opaque and translucent lists, but it would have been nice if it failed in a clean, easily implementable way, rather than by going through some relatively complex display screwups... Bug compatibility, natch. Also, dest blending modes 4-7 don't seem to match up too well with Maiwe's list, unless they're intended to mean something other than what GL expects them to mean. By the looks of it it's not clearing out the tile before drawing over the top of it, which isn't terribly surprising, except that it's from 2-3 tiles back rather than the last tile. I haven't gone through all the src blend modes yet, but I'm guessing that similar caveats may apply. This seems to leave me with the options of a) rendering the backplane in software and uploading it as a texture (which could get complex real first once all options (texturing, etc) are supported), and b) computing all the clamp lines in the viewport and rendering a separate polygon for each clamped segment. Neither of which is particularly elegant. I suppose there's also the question of whether I'm eventually going to (have to?) do a pure software renderer or not. Updated: Ah poo. Apparently I've misunderstood the purpose of the glClampColorARB call. As it turns out, Nvidia 's driver + libraries do include it, but it appears to have no effect in this context. Yes, I'm willing to assume that Nvidia engineers probably have a better understanding of the extension "spec" than I do. Render test case is kinda working now, at least for purposes of actually rendering stuff; assertions to follow. when I decide how I'm going to do them... I'd _like_ to dump the full image to file and compare, but sadly I've got little chance of it matching up perfectly as long unless/until I write a software renderer. Something that I don't really want to do right this moment. Testing individual points of interest might be doable though. Incidentally, it seems the pvr doesn't like drawing the backplane behind the far z-clip. Which makes sense I suppose. The backplane is kinda interesting inasmuch as it takes an arbitrary 3 points and extrapolates those out to fill the full viewport.